Hostas are an exceptional landscaping plant for shady areas and most will even thrive in bright light, although those with variegated leaves may experience some damage under scorching sun. While they are very easy to grow under a range of conditions, they will thrive in a moisture retentive soil. This can easily be accomplished by working in some peat moss, leaf mold or other organic material. Well rotted manure, compost, or commercial fertilizers higher in nitrogen will certainly benefit your planting. Our hostas seem to thrive even in close proximity to the many Black Walnut trees here, the roots of which are toxic to many plants. There are many variations in leaf colors and patterns, from blues to golds and variegations and shades between. 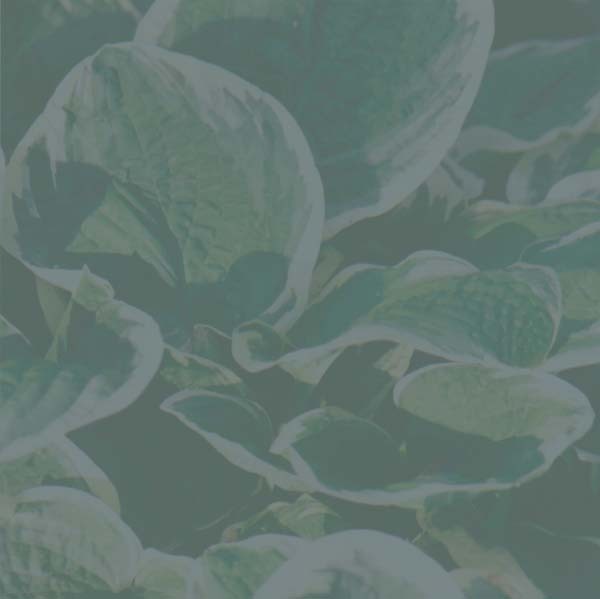 While they are attractive at any stage of development, a hosta usually takes three or more years to reach maturity with its own unique mature leaf characteristics and clump size. This needs to be considered when initially spacing the plants. Although the main attraction to hostas is their showy foliage, the flowers complement the plants. Some even have double or very fragrant flowers. Hostas are available either in gallon containers or dug from the field. They are shipped bare root.